From architectural considerations or the desire to give the user more flexibility in organizing the interior space, the usage of a concrete flat slab that is supported directly by concrete columns with flared column heads is a solution that can eliminate many problems. Column heads are used to increase the shear strength of slabs and to reduce the bending moment in the slab by reducing the effective span. 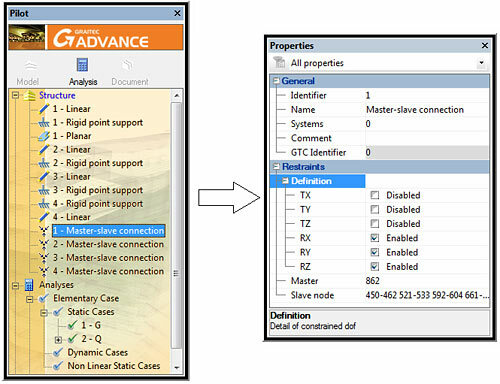 Advance Design 2011 can automatically create "Master - slave" connections between the column head nodes and flat slab nodes. 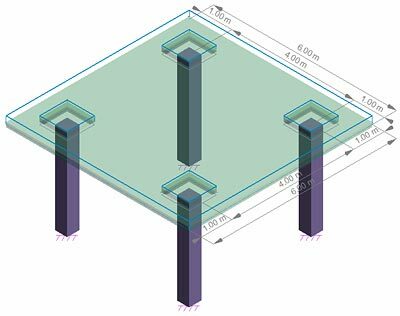 Thus, while the modeling of a flat slab with column heads was described in a previous FAQ (see FAQ: How can we design a flat slab with a column head? ), the new feature in Advance Design is intended to ease the work and simplify the creation of column heads. However, certain steps will not be discussed in this document. In the following example we will consider a flat slab made of C20/25 concrete, with a 15 cm thickness, which is supported by four C20/25 concrete columns (40x40 cm). The column head dimensions will be 90x90 cm and the depth of the head is 25 cm. For calculations we will consider the self weight of the elements and a live load of 5 kN/m2. 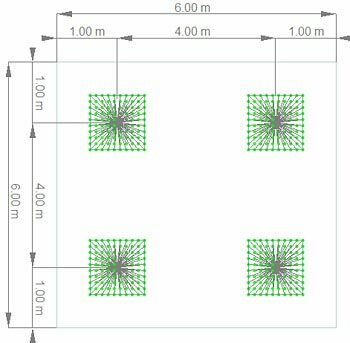 The size of the mesh element is set to 0.1 meters. 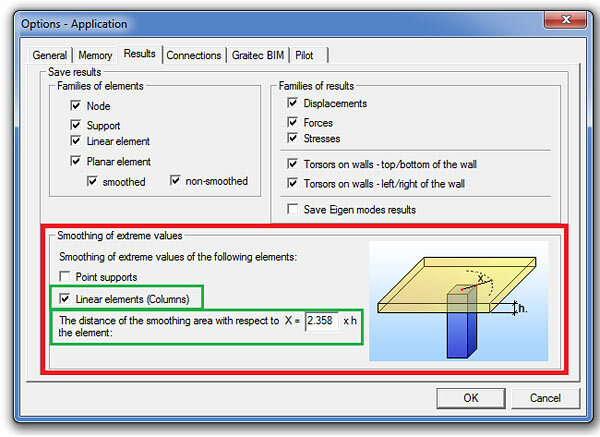 After all elements are modeled, open the "Application" dialog box from the "Options" drop-down menu and select the "Linear elements (Columns)" option. In order to define the correct shape of the column head, "Master - slave" nodes are determined according to the ratio between the "x" distance and the slab thickness (which, in this case, is 15 cm). When the "Mesh" is done, it can be seen that the "Master - slave" connections were done automatically. You can modify the degrees of freedom for each "Master - slave" connection in the "Properties" window. 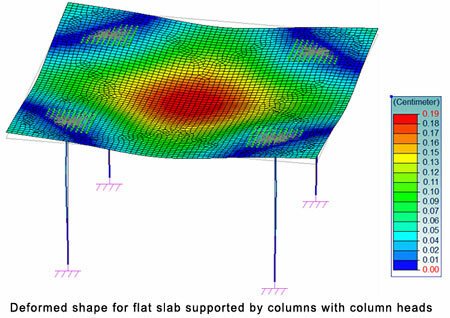 The results can be processed after the Finite Element Analysis is done.